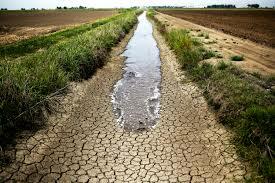 When we have lots of water, sooner or later there will be a drought. But when there has been higher than average rainfall for eleven years, most have forgotten what drought is, or that higher than average rain will continue to fall indefinitely. On the contrary! The time to save water is when we have at least some. Best practice would be to keep the dams full rather than bounce along at the bottom which is happening at the moment. We have been warning the various departments of water affairs about this for 21 years. Post 94, first there was the Department of Water affairs and Forestry, then came the Department of Water and Environmental Affairs, and lastly to date, the Department of Water and Sanitation, and about bloody time too. Because upstream municipalities all around South Africa seem to take pride in polluting rivers for downstream municipalities with raw untreated sewerage without any recourse nor any ability to clean up this water for drinking purposes. Perhaps I am being a tad unfair, and admit that these municipalities are mostly bankrupt and have no means to process sewerage. The situation as far as sewerage is concerned right now is calamitous. Do not drink any river water downstream from any sewerage works. It is too late for a great many towns and farmers, and our cities will be next! South Africa on the whole is out of water. I have spoken at not less than ten conferences over the past five years regarding how the abuse of water should be curbed, but this has proven to be either too difficult or politically unpopular. Retribution is close at hand, because we have a most determined El Nino preventing rain from falling on most of South Africa. As a result our politicians have reacted with a do nothing attitude rather than impose unpopular restrictions thanks to a looming municipal election next year. Why else would Cape Town municipality not introduce water restrictions? After all when the dam levels were at 80% in 2003 and 2004 water restrictions were introduced, and now the dam levels are at 71% with a population one third greater now than then, no restrictions are even mooted! The answer to water sales and distribution is to try and create some for all forever, the words of Kader Asmal in 1995. This has to include hefty and permanent restrictions and to disallow any municipal water for irrigation whatsoever. I know what you are thinking! Where are we to get water for that purpose? The answer is from grey water. In most homes, the volume of grey water thrown down the sewer balances the volume of water required for irrigation purposes, a point proven over and over again by more than 5000 clients of ours who do precisely that. But please do not take my word for this; let us have a look at the pie of “where water goes in the home”. The following is by courtesy of the City of Cape Town. Were it not for the people of South Africa prepared themselves to use less water of their own volition, we would be far worse off than the authorities would actually like. The more water they can sell, the better they have maximized their water supply facilities. This has only now proved to be most shortsighted thanks to the drought. However in Cape Town we have been successful in reducing the average demand as of 1998 which stood at 28 kilolitres per household per month to 25 kilolitres per month. We however have a long way to go to get that down to where we should actually be at 14 to 18 kilolitres per month per household per month for the rainy / dry season respectively.